This image of an American LeMans Series race car was shot at dusk at Mazda Raceway Laguna Seca using a Canon EF 400mm f/5.6L USM lens. It was captured just as the car entered “the Corkscrew,” a slow left-handed, twisty downhill turn. To minimize flare the lens has a built-in lens hood and I used its removable, rotatable tripod collar to attach a hefty Manfrotto monopod to steady this 4.35-pound lens, although it felt heavier. Exposure was 1/320 second at f/10 and ISO 800. Canon’s EF 200-400mm f/4L IS USM lens ($10,999) has an internal 1.4x extender and is part of the company’s L class of lenses, which, along with its dust and water sealing, accounts for its price. The extender is located in the base of the lens and activated by a small lever. The lens has one fluorite and four ultra-low dispersion elements for sharp images with fewer chromatic aberrations. Super-spectra lens coatings minimize ghosting and flare and a fluorine coating on front and rear lens elements minimizes fingerprints for filter-averse shooters, which I guess is a moot point since the lens uses 52mm rear-mount filters. 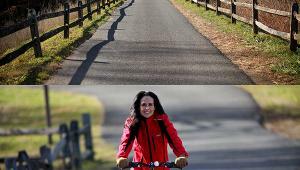 Three modes of image stabilization offer up to four stops of compensation: static, panning, and when following fast, erratically moving subjects. The Power Focus mode aids focusing while shooting video and there’s full-time manual focus override. The rotating tripod mount can be adjusted to shoot horizontally or vertically without removing it from the tripod. 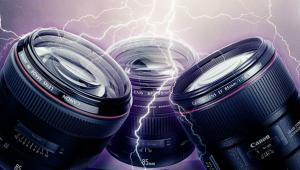 Who’s It For: It’s the long zoom for Canon pros who want the best. Why I Like It: State-of-the-art design, build quality, and white finish make it stand out. One of the lenses used by astronauts and cosmonauts on the International Space Station is Nikon’s AF-S Nikkor 400mm f/2.8G ED VR, but for something with a longer reach try the AF-S Nikkor 600mm f/4E FL ED VR ($12,296). Designed for FX (full frame) image sensors, this lens is compatible with DX sensors, producing a 900mm equivalent. The optical design uses two fluorite and four extra-low dispersion elements to minimize weight and improve image quality. Nano Crystal and Super Integrated Coatings suppress flare and a front fluorine-coated meniscus element, paired with a weather-resistant magnesium alloy barrel, protects against adverse weather. Vibration Reduction image stabilization compensates for camera shake up to four stops with Sport and Tripod modes to help produce sharper images. The internal focusing design maintains overall lens length and contributes to its 8.4-pound weight, as well as a minimum focusing distance of 14.4 feet. Like other big lenses, it uses drop-in filters, in this case 40.5mm. Who’s It For: Nikon shooters who need the long view. Perfect for sports and wildlife, especially birds. Why I Like It: My wife, Mary, is the Nikon shooter in the family; this is her dream lens. Pentax D FA lenses are compatible with heritage 35mm film cameras but are built for digital SLRs. When used on APS-C cameras, the HD Pentax D FA 150-450mm f/4.5-5.6 DC AW lens ($1,949) has a 225-675mm equivalent focal length range. It uses extra-low dispersion glass elements along with HD coatings on the elements to reduce reflections and flare along with a Super Protect coating to protect front and rear elements from dust, water, and smudges. By turning the focusing ring, the Quick-Shift Focus System lets you switch between AF and MF control with focus preset and range limiter settings for fast handling. The lens features weather-resistant construction that uses 21 seals, protecting against dust and moisture. A removable, rotating tripod collar is included. Who’s It For: Pentaxians, like my neighbor Mike, who photograph nature and wildlife. Why I Like It: Pentax and Ricoh know a thing or two about optics and this lens adds to the system’s mystique. In the not-so-distant past there really wasn’t much to get excited about in long focal length lenses for Micro Four Thirds cameras—now there is. 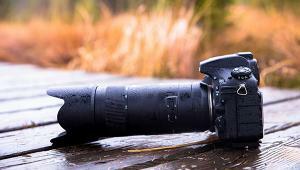 The Olympus M.Zuiko Digital ED 300mm f/4 IS PRO lens ($2,499) provides an equivalent field of view of a 600mm lens. The lens focuses as close as 54 inches and when used with the MC-14 teleconverter ($349) increases the equivalent focal length to 840mm without increasing the close focus distance. Its optical stabilization is good for four stops of shutter speed and when used with Olympus cameras with five-axis in-body IS, compensates for up to six stops. The lens uses three Super ED elements to eliminate peripheral chromatic aberration along with three high refractive and one extra-high refractive index elements for sharpness. Z Coating Nano reduces ghosting and flare and its splash, dust, and freezeproof design protects against the weather at temperatures as low as 14 degrees F. The lens has a retractable hood as well as an Arca-compatible tripod collar with a removable base plate for quick release. Who’s It For: Well-heeled Micro Four Thirds shooters who’ve been looking for the perfect lens for bird and wildlife photography. Why I Like It: It’s beautifully crafted and I like the way the L-Fn button on the barrel can be programmed with up to 27 different functions. Panasonic’s 100-400mm f/4-6.3 Leica DG Vario-Elmar lens ($1,797) produces a 200-800mm equivalent focal length range and incorporates one aspherical extra-low dispersion, one ultra extra-low dispersion, and two extra-low dispersion elements to reduce spherical aberrations and color fringing for improved sharpness and color accuracy. The gapless construction of the lens makes it dust- and moisture-resistant. It uses Panasonic’s Power O.I.S. system that’s compatible with the dual image stabilization function on cameras like their GX8. Its minimum focusing distance is 4.3 feet and a focus limiter constrains the focusing range from its minimum distance to infinity or from 16.4 feet to infinity. The lens has an integrated rotating tripod collar for switching between horizontal and vertical orientations while keeping lens controls in the same place. Who’s It For: Micro Four Thirds photographers who want more flexibility in longer focal length lenses. Why I Like It: It’s a Leica lens with a versatile focal length range and (for this category of lens) is relatively affordable. 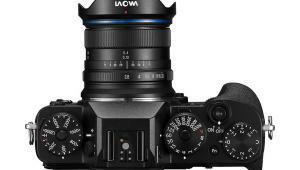 Since the Olympus and Panasonic lenses are built to the Micro Four Thirds standard, both of the previously mentioned lenses are compatible with each other’s camera bodies, which is a win-win for shooters of these mirrorless cameras. With other mirrorless cameras, including those from Fuji and Sony—Samsung has left the building—there’s not that much difference between lenses for full-frame or APS-C-sized mirrorless cameras than it is for their cousins in the (hate the term) DSLR world. It will be interesting to see—as I go to deadline—what Korean maker Irix Lens will bring to the mirrorless party. Sony’s 70-400mm f/4-5.6 G2 internal focusing lens ($2,198) uses the Alpha mount and is compatible with full-frame and APS-C-sized image sensor bodies. Decked out in a white finish like you-know-who, the lens has two ED glass elements to minimize chromatic aberration while producing accurate color. Individual elements receive a Nano AR coating to reduce flare, reflections, and ghosting to improve contrast and light transmission. The lens has a minimum focusing distance of 4.9 feet with three hold buttons for locking-in focus positions and a focus range limiter for fast focus and subject tracking. When working with shallow depth of field and selective focus, bokeh fans will like how the nine-bladed circular diaphragm smoothes out-of-focus areas. Who’s It For: A perfect, if not inexpensive, lens for Sony shooters who are interested in wildlife and action photography. Why I Like It: It’s pretty and, although not from Zeiss, would be a versatile lens if I were a Sony shooter…cue Tevye singing. Even though (I think) I’m wired into the mirrorless scene, I didn’t know Fuji made the XF 100-400mm f/4.5-5.6 R LM OIS WR lens ($1,899). Designed for Fujifilm X-series cameras, it produces a 152-609mm equivalent focal length range with weather-sealed construction and a fluorine-coated front element to protect against dust and moisture. It’s compatible with the optional ($449) XF 1.4x TC WR teleconverter, increasing the focal length equivalence to 213-853mm. 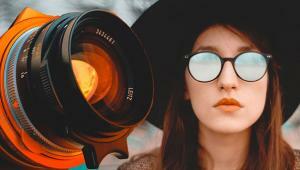 The lens incorporates five extra-low dispersion elements and one super extra-low dispersion element to reduce color fringing and chromatic aberrations along with a nine-bladed diaphragm to keep bokeh fans happy. 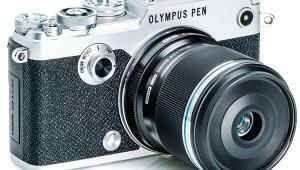 A five-stop optical image stabilization system minimizes camera shake at slow shutter speeds. A limiter switch constrains the focusing range from 5.7 feet to infinity or 16.4 feet to infinity while a zoom-lock switch prevents unwanted zoom creep. There’s a removable, rotating tripod collar for working from a tripod or monopod and the lens hood has a sliding window to adjust rotating filters, like polarizers. 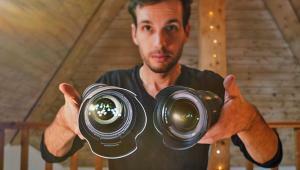 Who’s It For: Fujifilm fanatics (and I know you’re out there) will love this lens. Why I Like It: It’s been a long time since I’ve had my paws on a Fuji camera but this looks like a sweet lens. 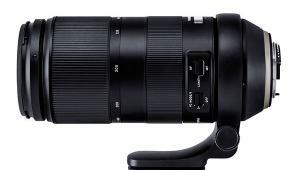 Tamron’s SP 150-600mm f/5-6.3 Di VC USD lens ($989) for Canon and Nikon mounts can be used on both full-frame and APS-C SLRs. Its optical design uses three low dispersion elements to minimize optical aberrations, particularly at long focal lengths. Individual elements utilize Tamron’s eBAND and BBAR coatings to reduce lens flare and ghosting and produce color-neutral images. Image stabilization enables handheld shooting and reduces camera shake. USD autofocus produces fast, quiet AF for still or video shooting with a full-time focus mechanism permitting manual focusing at any time—even in AF. And it will focus as close as 8.86 feet. 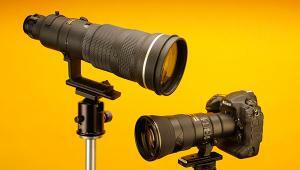 The lens measures 10.15 inches long and weighs 4.3 pounds with a 95mm filter size. 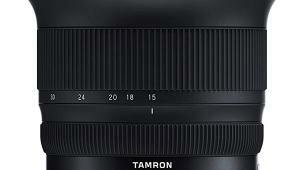 Like all recent Tamron optics, it’s a beautifully crafted lens designed for a challenging job. Who’s It For: For nature and wildlife photographers, there’s no substitute for long focal lengths and this Tamron zoom lens would be great on a safari. Why I Like It: Large focal length range with long reach and (for this category) an affordable price tag. 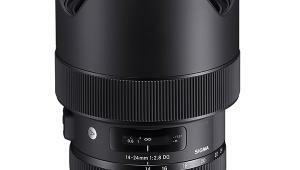 For reasons best known by them, Sigma makes two different lenses in the 150-600mm focal length range: The 150-600mm f/5-6.3 DG OS HSM Sports ($1,999) and the 150-600mm f/5-6.3 DG OS HSM Contemporary ($989). Both are available in Canon, Nikon, and Sigma mounts and work with Sigma’s Global Vision teleconverters ($399 for 2x, $349 for 1.4x). 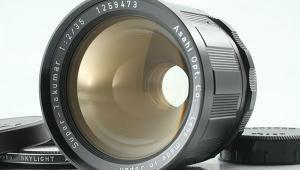 The former lens has a 105mm filter, is 11.4-inches long, and weighs 6.3 pounds. 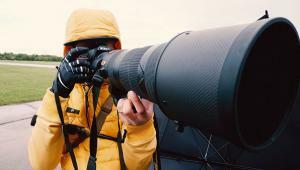 The latter uses a 95mm filter, is 10.2-inches long, and weighs 4.3 pounds. 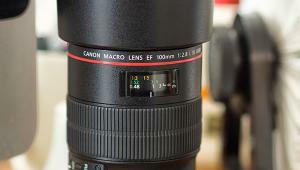 The Contemporary lens has a 102.4-inch minimum focus, while the Sports model makes do with 110.2 inches. Both lenses, it seems, have one FLD and three SLD elements and are optically stabilized, but the Sports uses 24 elements in 16 groups, while the Contemporary has 20 elements in 14 groups. Will that make a difference? I dunno but since Sigma has been on top of the optical game as of late and no doubt more glass makes for a bigger lens, it should also, theoretically, produce better optical performance. I’d like to know how they compare in the real world. Leica’s APO-Vario-Elmarit-SL 90-280mm f/2.8-4 lens ($6,395) is designed for full-frame and APS-C L-mount mirrorless cameras. The optical design uses 23 elements in 17 groups, incorporating seven anomalous partial dispersion elements to reduce chromatic aberrations and produce color accuracy. Its optical image stabilization system compensates for up to 3.5 stops of camera shake and it has a removable, rotating tripod collar with detents at 90-degree positions for switching between horizontal and vertical shooting. The lens has a fully dust and water-sealed design for use in inclement weather and uses Leica’s AquaDura hydrophobic coating on front and rear elements to guard against moisture and smudging. Who’s It For: Leicaphiles looking for the ultimate image and don’t they always. Why I Like It: It’s big, it’s bad looking, and it’s a Leica. For nature, wildlife, and bird photographers, the one indispensable accessory for long lenses is a LensCoat cover. They’re made for almost all of the long and zoom lenses featured here; check LensCoat’s website (lenscoat.com) for your lens. The covers protect against scrapes, light impact, and the elements and are available in several finishes, including Realtree AP Snow. They’re designed to protect your gear while disguising it, making it less noticeable to wildlife. Made in the USA from 100 percent closed-cell neoprene, the covers offer waterproof protection while providing a thermal barrier to shield your paws from the lens’s cold barrel at low temperatures. (No double-dog dare.) They are easy to install, slipping on like a sleeve, leave no sticky residue, and feature clear windows over the distance scale and AF controls. For a big lens like the AF-S Nikkor 600mm f/4E FL ED VR it’s $99. Who’s It For: If you photograph wildlife, you need a LensCoat cover. Why I Like It: They look cool, too. I have one for my EF 70-300mm f/4-5.6 IS USM lens and love it.